The San Marcos Greenbelt Alliance reports there are 22 miles of trails in San Marcos, Texas! Whether you’re hiking or biking the trails, kayaking or swimming in area waters, or just taking your kids to a local playground to run around, there are so many ways to stay active in beautiful San Marcos. Each of the natural areas in San Marcos has unique features you might enjoy. Lance Jones, Outreach Chair for San Marcos Greenbelt Alliance, says Spring Lake is hilly and a favorite of mountain bikers. Purgatory Creek Natural Area is very rocky with the longest trail system in the area. 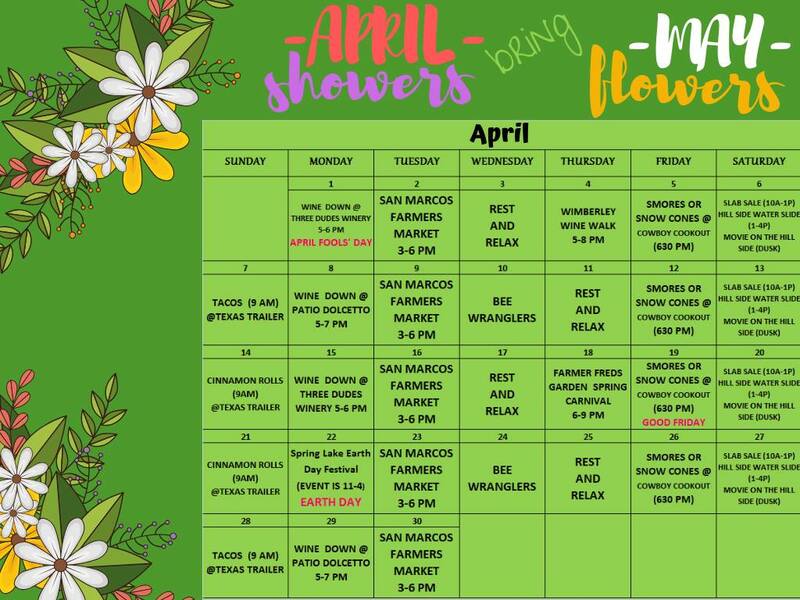 All San Marcos trail maps are all available online. But you don’t have to leave our campground to go hiking! 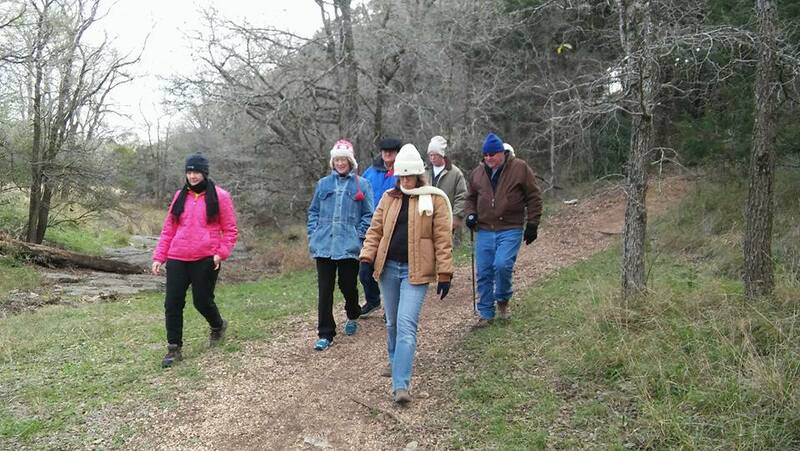 If you walk down the hill on our property, towards the river, then you can hike along the shore of the San Marcos River. 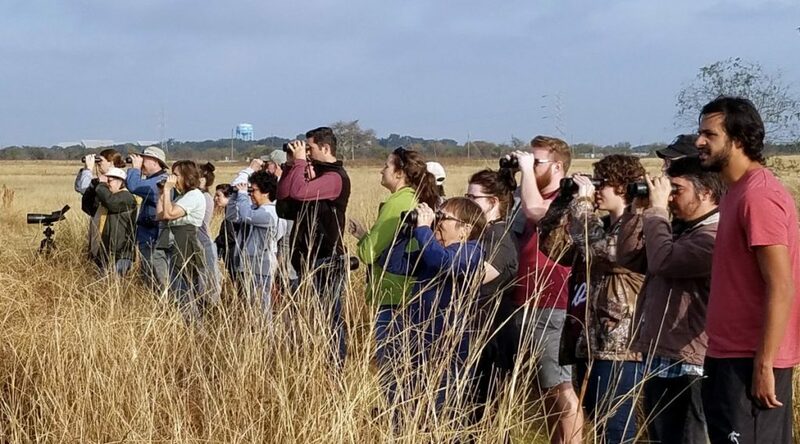 This is a wonderful place to look for birds and other wildlife, and simply enjoy some serenity in nature. Pecan Park Riverside RV Park’s location is extremely convenient for those who love to kayak. Put in on the San Marcos River at our property, and you can kayak to Martindale Dam in about an hour. Or, if you want to get out at the campground, you can put in upstream at the Lions Club. The trip downstream to our campground will take about six hours and three portages. If you want a shorter downstream paddle, then you can enter at the CR 102 bridge for an hour paddle to our park. Let our office staff know if you have questions! If you don’t own a kayak, a local outfitter called Paddle With Style is open throughout the year, providing rentals and guided tours. Please keep in mind that we do not offer day passes. Our property is only open to overnight campground guests. When hot weather hits, there’s nothing like escaping to the water for some swimming. Depending on river conditions, our campground guests can go swimming in the river from our property. There are usually shallow areas among the rocks where families can safely soak in the cool water. And, of course, no summer visit to San Marcos is complete without some Texas tubing. We always recommend the Lions Club for tube rentals. This location is typically open from the end of May through the end of August, and on weekends and holidays through September. The Lions Club float lasts about an hour. But there are unlimited shuttle rides, so you can float all day long if you like! 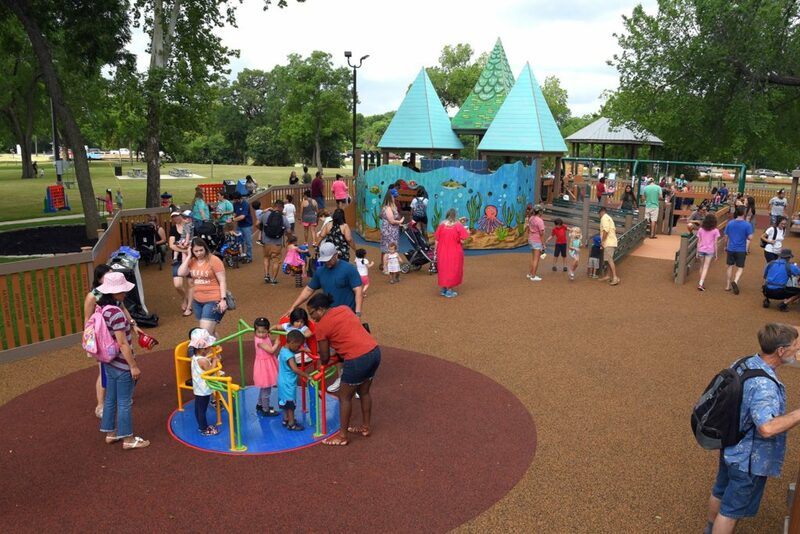 Beyond our own playground here at Pecan Park, the most beloved playground in San Marcos is Children’s Park. 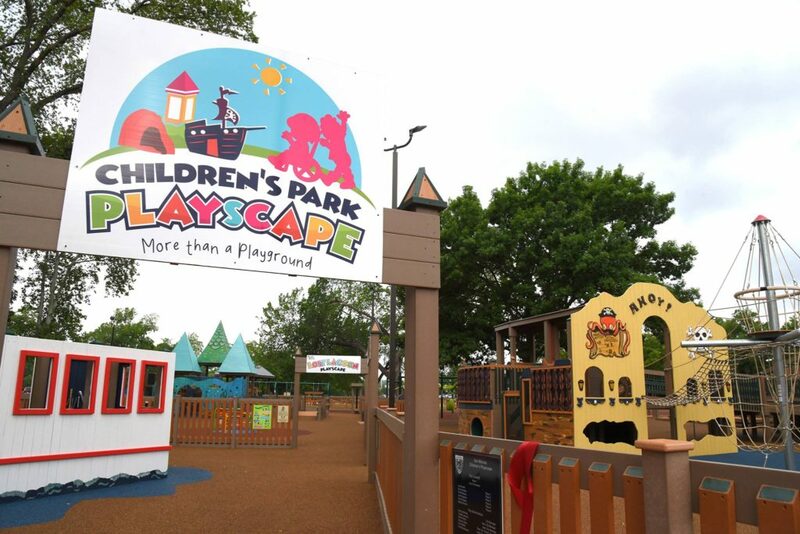 This local activity area was recently revamped to be more accessible to all children. 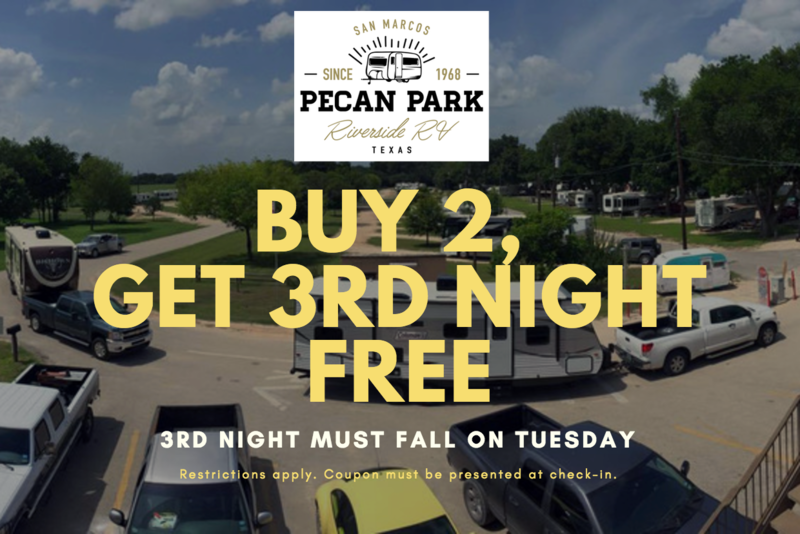 No matter whether you prefer the trails, the water, or the playground, we hope you’ll enjoy the natural beauty of San Marcos during your stay at Pecan Park Riverside RV Park!